A Soviet-born businessman who featured prominently in plans to build a Trump Tower in Moscow will testify in an open session on March 14 before the House Intelligence Committee, the panel’s chairman announced Thursday. 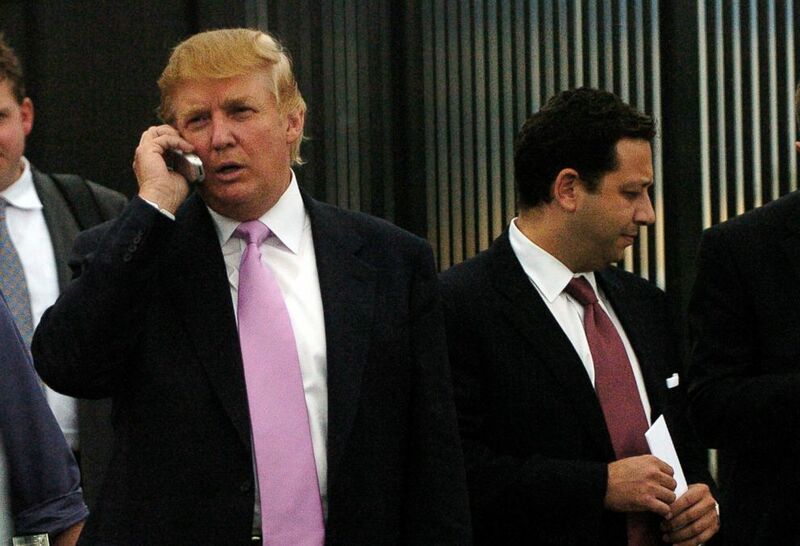 Felix Sater, a former adviser to President Donald Trump, could shed light on his ill-fated collaboration with the president’s former personal attorney, Michael Cohen, to build a Trump Tower in the Russian capital. 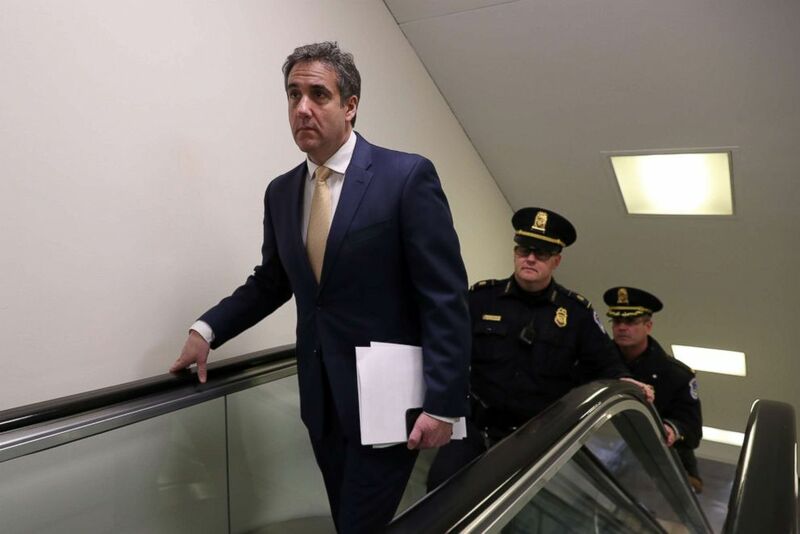 Michael Cohen, the former personal attorney of President Donald Trump, rides an escalator at the Capitol as he arrives to testify before a closed House Intelligence Committee hearing, Feb. 28, 2019. Rep. Adam Schiff, D-Calif., the chairman of the House Intelligence Committee, announced plans to host Sater after a lengthy closer-door interview with Cohen, who negotiated the proposed Trump Tower-Moscow deal on behalf of the Trump Organization. The timing of the Trump Tower-Moscow project has become a source of controversy amid the ongoing investigations into Russian meddling in the 2016 presidential election. Cohen pleaded guilty in November to charges brought by special counsel Robert Mueller of lying to Congress about whether the Trump Organization had pursued the Moscow real estate project while Trump was securing the GOP nomination in 2016. On Wednesday, in a public session before the House Oversight Committee, Cohen corrected his previous testimony about the timeline of the Moscow project. Donald Trump visited Colorado to talk at the Bixpo 2005 business convention at the Budweiser Events Center, Loveland, Colo., Sept. 14, 2005. Trump walks outside the center after the speech with Felix Sater. Cohen not only admitted to lying about the timing of the project, but detailed Trump’s alleged involvement and interest in executing the deal -- even after he won the Republican party nomination. 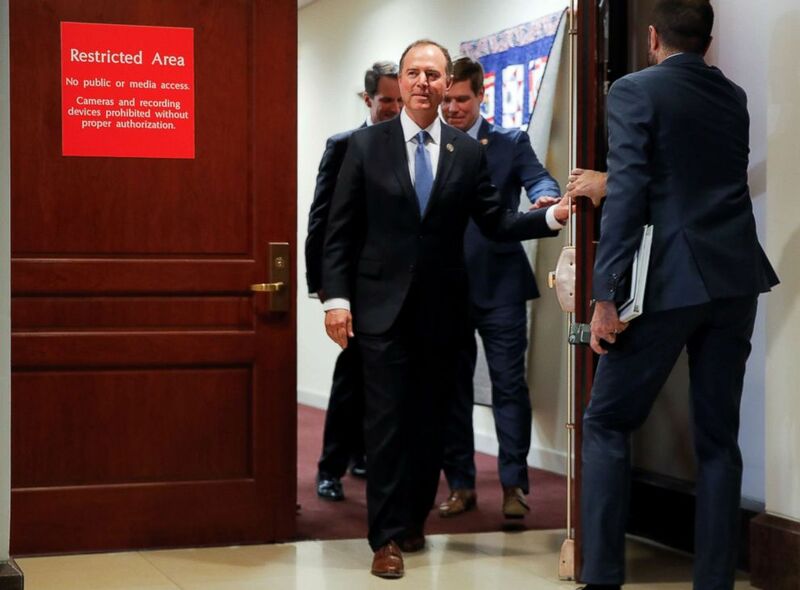 House Intelligence Committee Chairman Adam Schiff (D-CA) departs after the conclusion of testimony from Michael Cohen, the former personal attorney of President Donald Trump, on Capitol Hill, Feb. 28, 2019. Sater met with Senate investigators in April of 2018 about his involvement in the Trump Tower Moscow project. Sater promised to “get all of Putin's team to buy in” on the proposed Moscow plan, according to emails he wrote to Cohen first published by The Washington Post and The New York Times. In an interview with ABC News in March of 2018, Sater -- who says that for the past two decades he has served as a high-level intelligence asset for the DIA, CIA and the FBI -- sought to recast himself as an unheralded protector of the United States. The president sought to distance himself from Sater during the 2016 campaign, even though the Russian émigré played a role in a number of high-profile Trump-branded projects across the country and even carried a business card boasting a title of “senior adviser” to Trump. “If he were sitting in the room right now, I really wouldn't know what he looked like,” Trump testified in a video deposition for a civil lawsuit two years ago. ABC News' Matthew Mosk and Pete Madden contributed reporting.